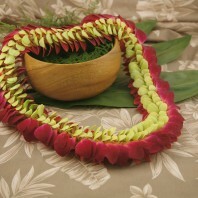 Categories: Graduation Leis, Hawaiian Flower Leis. 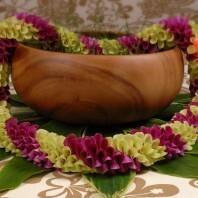 Hawaiian leis hand made with exotic orchids, these are our most popular selection. 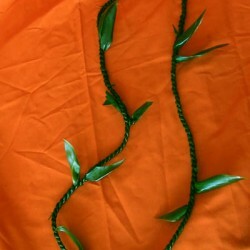 They are often worn as graduation leis and wedding leis. 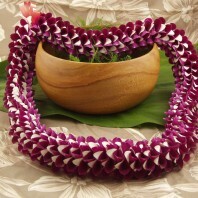 This simple yet lovely lei is about 36 inches around and is made with white and purple dendrobium orchids. 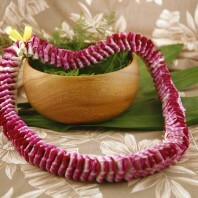 Our Hawaiian leis are available for shipping to any US state. 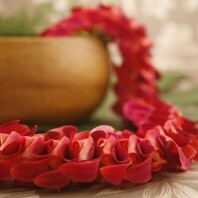 Giving a lei is a traditional way to express ‘aloha.’ The beauty of the flowers convey a special feeling to the wearer and to the ones giving the lei. 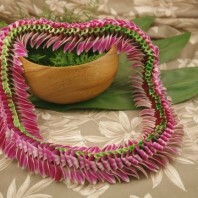 It will brighten any special event including graduation, a birthday, quinceanera, Hawaiian wedding or just a fun party. 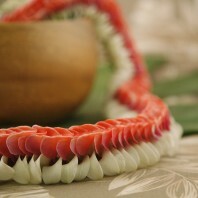 Wear this lei over the shoulders and remember it is considered impolite in Hawaii to refuse the gift of a lei. 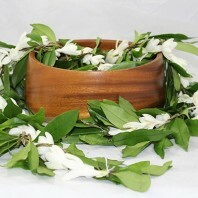 After your lei begins to wilt tradition is to return the flowers to the earth. The thread can be removed and disposed of. 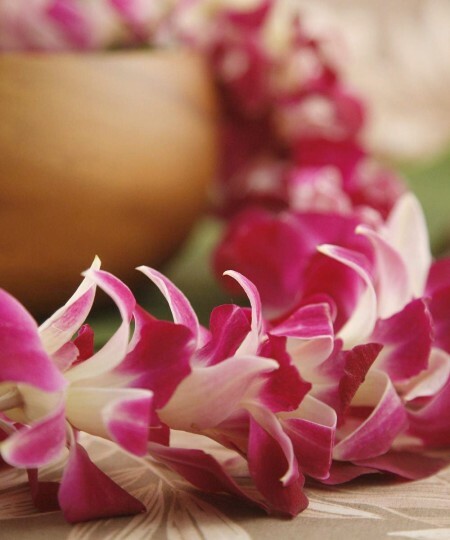 If you need a large number of Hawaiian leis for a special event such as graduation, weddings, a luau or other holiday please order ahead of time. 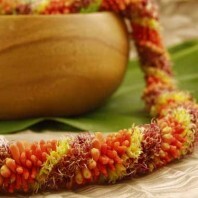 These leis take a little time to sew. We will ship for arrival on the date you select. We do give you the option of having the package delivered without a signature. However, if FedEx leaves the package they will not insure the contents. Also, weather extremes can damage fresh flowers left on the porch. Remember we can always ship to your workplace if no one is at home during the day. When your Hawaiian leis arrive open the package right away. It’s a good idea to spray a bit of fresh, clean water on the flowers. Then just gently place them in a closed bag and refrigerate until time to wear. 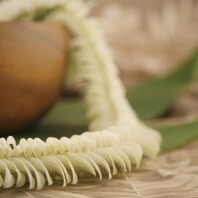 You can even return them to the refrigerator after your event to extend the life of your fresh lei.